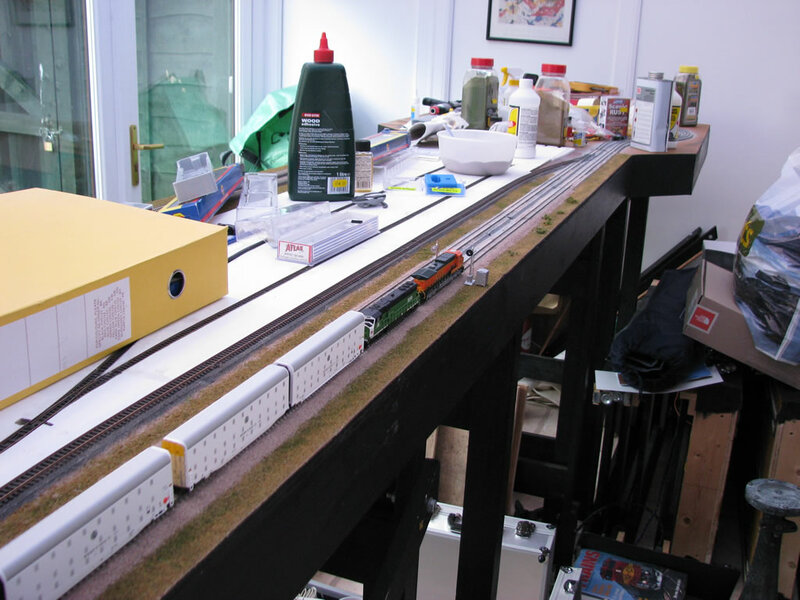 I’ve completed ballasting track 1 and 2 on the front of module 1.Â I have done half of track 1 on module 2, and will hopefully get more done tonight. 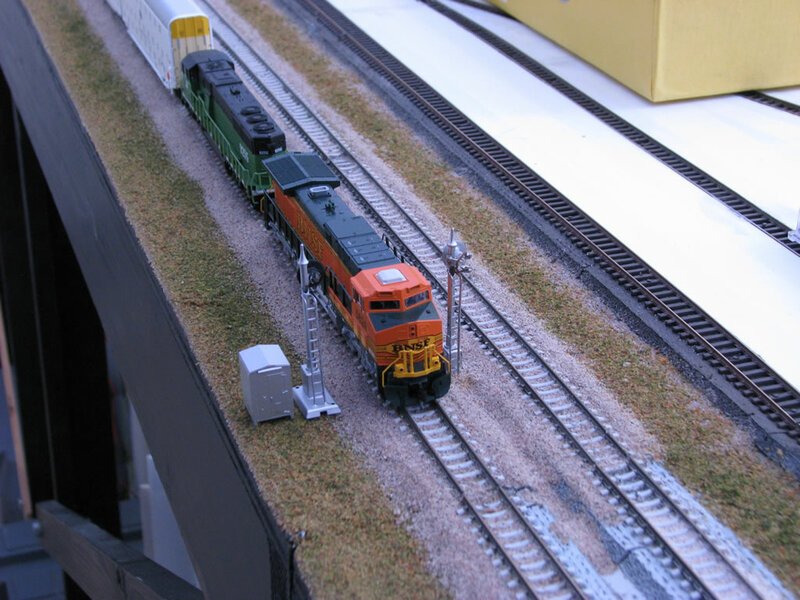 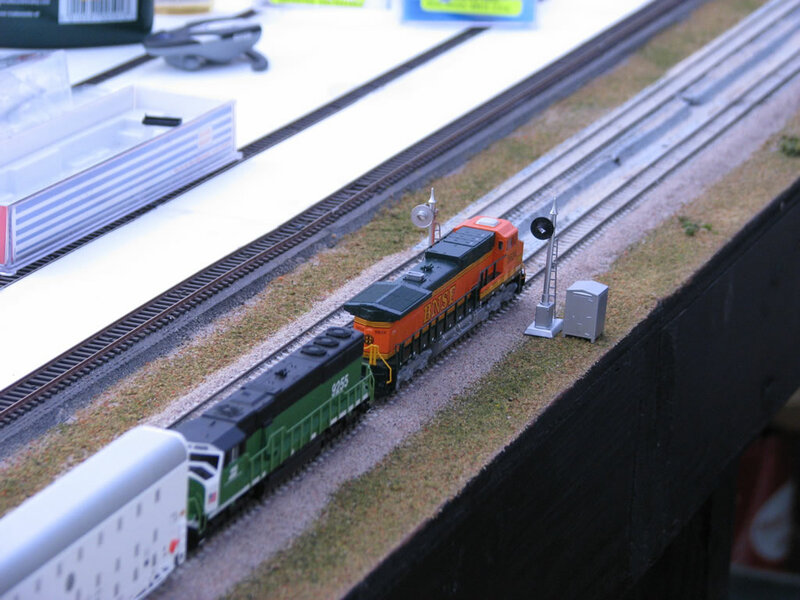 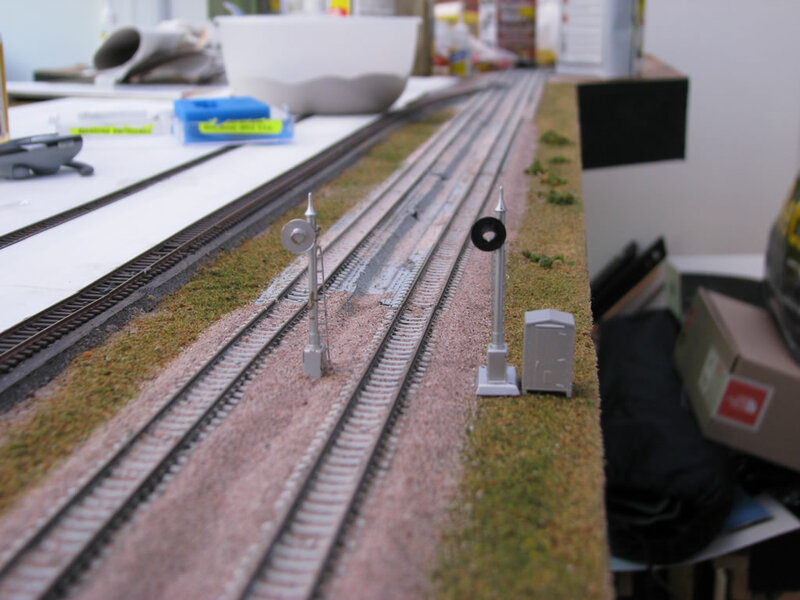 The photos below show the progress so far, along with a few photos of a train on the tracks and signals. 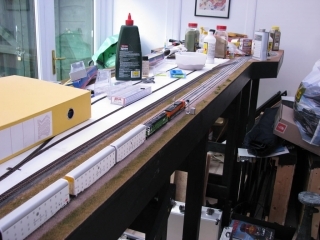 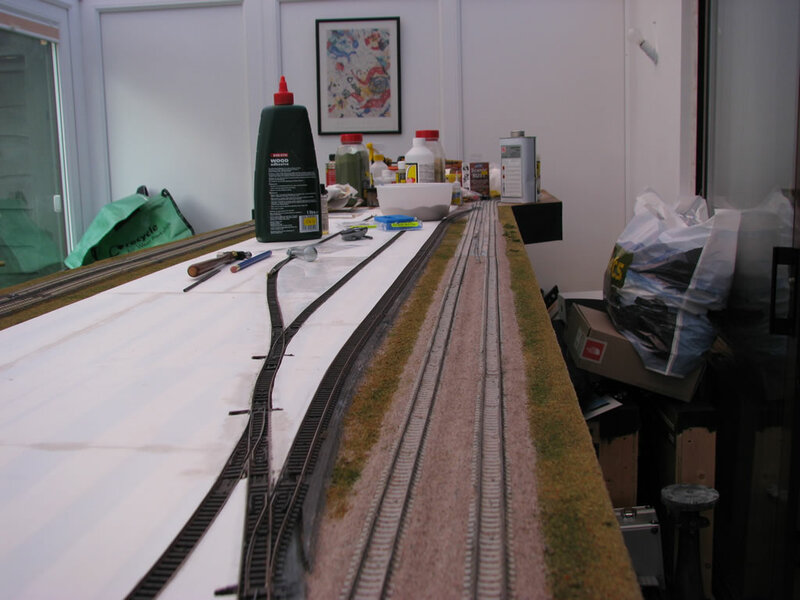 I am going to add some detail bits between the two main tracks to make it a bit dirtier…looks a bit bare at the moment. I still need to put an LED in one of the NJ International signals (the one with the black target), and I need to paint the target on the other signal (which is fully functional with an LED).Â I am hoping that the rumour from BLMA about their N scale modern signal bridge is true as that would work perfectly on this part of the layout…but will have to wait and see!Â In the meantime, I am using the NJ International signals for this section of track.